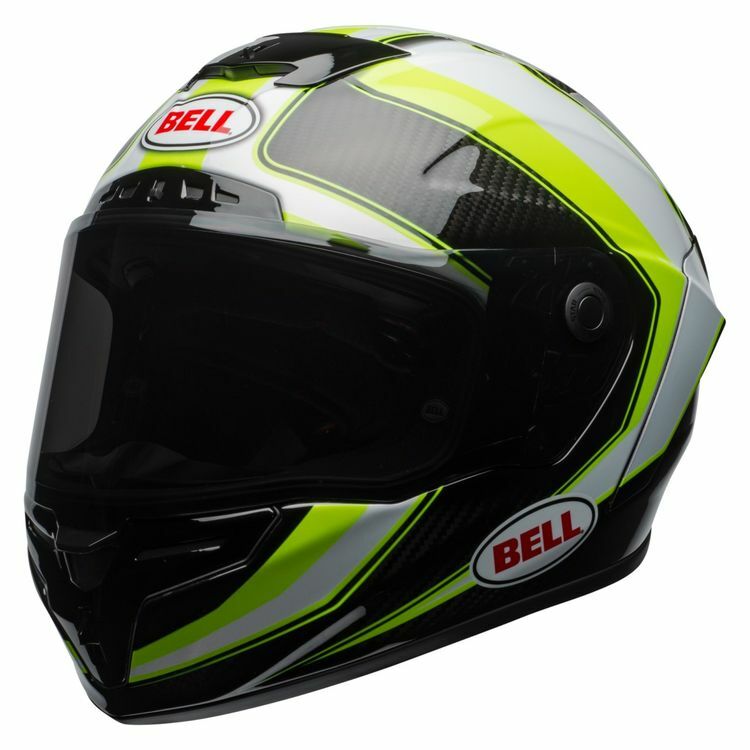 The Bell Race Star Helmet offers features to help you stand atop the podium. The 3K Carbon Fiber Shell is extremely strong yet lightweight and has been optimized aerodynamically in Bell's wind tunnel to provide a stable helmet at speed. While the Flex Impact Liner was designed specifically to handle varying impact forces through various materials and layers to help keep you safe and protected. Conceived, engineered and manufactured produce winners, the Bell Race Star Helmet has pulled ahead of its competitors.